If your account is connected to Facebook, you can post the article to Facebook right from here! In the screenshot above, the Facebook icon is checked, so the link will be posted on Facebook. Don’t want to post the article to Facebook? Simple, just uncheck the Facebook icon. Here’s what the post will look like on Facebook. The ‘R’ icon is my Facebook profile picture. If you post, your profile pic will be there instead of the ‘R’. It will look exactly the same as if you copied and pasted the URL in your status update bar on Facebook. The only difference is the ‘via TheRationalDebate’ text at the bottom. 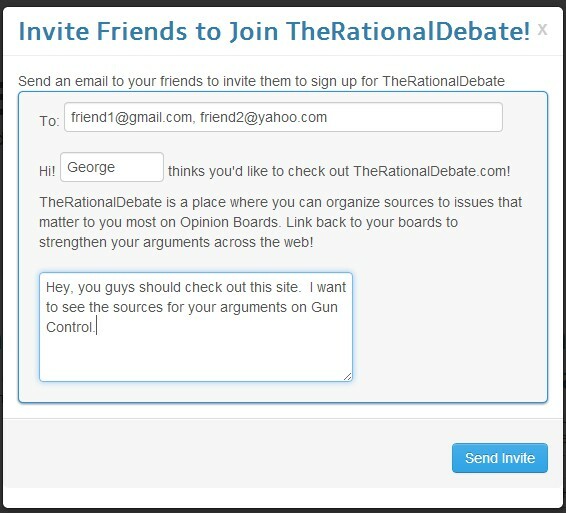 If you don’t have an account on TheRationalDebate and you want to get started, the easiest way is to sign up using the ‘Sign In with Facebook’ button. Click the Facebook button to sign up and connect your account to Facebook in one step! Now I simply pick the Opinion Board I want to post the article to (or I can create a new board if I want), add my comments and click the ‘Add Post’ button and it’s done! Once the post is created, I can either click the link to check out my Opinion Board, or simply close the window to go back to reading the article. Easy! The screenshots above show the Rational button in Chrome, but it’s also been tested with Internet Explorer 8+, Firefox, Safari, and Opera. Get the Rational button for your browser and start bookmarking rational sources out on the web today! If you’re curious about seeing my Opinion Board on vaccines, check it out here. If you agree with me, sign in or sign up and repost my sources to your board to get started. If you disagree, I’ve yet to see any rational arguments against vaccinations, so let’s see your Opinion Board! Are We the Real Problem with Media Today? Larry Womack wrote an article earlier this week over at the Huffington Post titled: The Real Problem With Media Today? The Audience. One of the main points of the article is that most reporters and media outlets don’t actually go through that much effort, if any at all, to check facts that their sources give them. The reason? Because it’s much more profitable not to, and we (the public) don’t really want the facts anyway. But none of this would matter if delivering hard news actually made financial sense. If people made money reporting real news, believe me, they’d report it. The real problem is there’s no money in truth. And the fault for that lies with the you and me, the audience. The article triggered a Google Alert I have set up, and while reading it I thought “Hey – a lot of the points he’s bringing up in this article are reasons why I created TheRationalDebate in the first place!” Whether or not you agree with Larry, I’d like to focus on some quotes from his article, and post my thoughts on how it relates to why I created TheRationalDebate. … you’ve probably noticed that a great many people on [the internet] respond to correction or presentation of fact with anger and even more deeply entrenched — if demonstrably incorrect — views. Just take a look at the comments on any given web site; the angrier or more dismissive one is, the less likely it is to be based in reality. Just take a look at the comments on any given web site; the angrier or more dismissive one is, the less likely it is to be based in reality. The last part of this quote is exactly what I’m trying to avoid. With TheRationalDebate, I think we can have a community of people who rationally discuss issues and can comment on opposing arguments without resorting to irrational behavior. The community having the power to hide irrational arguments and comments, no anonymous arguing and commenting, and the overall tone of the site are a key components to what we’re trying to do at TheRationalDebate. That is what the most profitable news sources too often provide: a steady stream of reinforcement without fear of making the audience ever genuinely feel like they might be wrong about some political opinion. …too many of us seek out only that information (be it true or untrue) that reinforces our prejudices, reassuring our fantasy selves that we are, indeed, champions of all that is right and just. It’s hard today to find really good arguments on all sides of an issue. Most media outlets will try to appear non-biased by throwing a line or two dedicated to the other site, but usually it’s pretty clear which side is “correct” in their opinion. Media outlets know that it’s easier, cheaper, and more profitable to simply tell you what you want to hear. At TheRationalDebate, this is exactly what I’m trying to fix by building a community of rational people providing really great arguments for all sides of an issue in one spot. So – what can you do? If you have some really great arguments on important issues today, sign up and post them! If you don’t want to create arguments, that’s ok! You can still sign up to vote and comment on issues. If you know someone who does have really great arguments invite them to join in. My last post has instructions on how you can invite others to TheRationalDebate. I believe that we can make discussing issues better on the internet today, let’s get started! 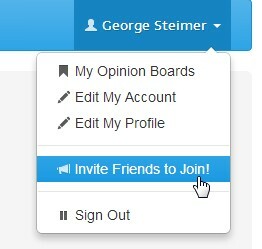 If you want to send another invite, just click the ‘Send Another’ link! Editors note – this post was updated on November 12th, 2013 to update the text and pictures reflecting site updates since the post was originally published.